Read the reviews of a few books that were published this year. 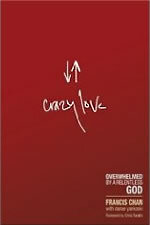 “To read the Bible, attend church and avoid the ‘big sins’— is this passionate, wholehearted love for God?” This is just one of many provocative questions of faith posed in the inspiring pages of Crazy Love. Exploring a stalwart faith worth aspiring to, Chan and Yankoski offer encouraging, practical insight that addresses the struggles of living an authentic faith. With a candid, earthy approach reminiscent of Anne Lamont and Eat, Pray, Love’s Elizabeth Gilbert, Trish Ryan vividly explores the trials of love and heartache in He Loves Me, He Loves Me Not. Much like a lead in a romantic comedy, Ryan’s been through it all with guys. 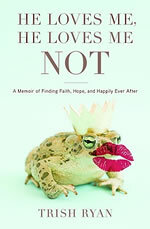 Some of her accounts of love gone wrong are humorous; others hit a little too close to home. That refreshing honesty makes He Loves Me, He Loves Me Not a journey worth taking whether or not you’ve already found Mr. or Ms. Right. B.J. Higgins was your typical 15-year-old with an unbridled passion for his faith in Christ. Like many teens, Higgins embarked on a summer mission trip, hoping to serve God in a meaningful way. Little did Higgins know, however, that his trip to Peru would have a life-changing effect on his life. Back in the States, Higgins entered the hospital with what seemed to be a routine case of pneumonia. Later, his family learned Higgins had actually contracted a rare, infectious disease in Peru. 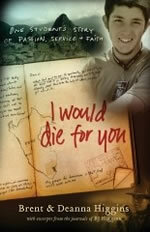 Eventually losing his battle with what was thought to be the bubonic plague, Higgins’ life story continues on in I Would Die For You. Warning: You might want a box of Kleenex nearby. This one’s a tearjerker. In a desire to be relevant in our ever-changing world, there’s often an “I’m okay, you’re okay” mentality adopted when it comes to personal faith and beliefs. After all, it’s much easier to agree than offend. While that’s all well and good, sometimes an opportunity to share a little more about Christianity can get passed up because believers don’t feel comfortable discussing certain aspects of the faith. 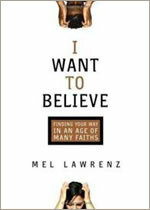 Now with I Want to Believe, a primer on the practical realities of Christianity, there’s a user-friendly guide that provides answers to tricky questions like “Can there be only one way to God?” in a way that’s Scriptually sound and easy to understand. C’mon, admit it: You wanted to be popular, too. 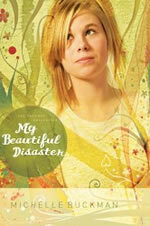 In the well-written adventure in teendom My Beautiful Disaster, Dixie also longs to hang with the “in” crowd. And ever since she’s palled around with Heather and Tammy, life’s been full of shopping, late-night gabbing and pizza parties. But when the three sneak out to see a hot new band, Dixie’s life takes a turn for the worse when she becomes obsessed with the cute lead singer. So is popularity all it’s cracked up to be? Well, you already know the answer, but this cautionary tale is entertaining nonetheless. — Christa A. Banister is a freelance writer, author and blogger in St. Paul, Minn. Her first novel, Around the World in 80 Dates: Confessions of a Christian Serial Dater (NavPress), is in stores now.